Earlier last week, Jacqueline Fernandez in an Instagram post asked Amanda Cerny to visit her in Mumbai and shared a picture of them. She wrote, "@amandacerny I think it’s about time you came visited me in Mumbai!!" To which the Youtuber commented, "Funny you mention it." Jacqueline has taken Amanda to all the occasions she was attending in the town and visited popular eateries in the town. There is a long list of eateries which they want to try together which Jacqueline promised her to take her to when she will come next time to India. Fascinatingly since Jacqueline and Amanda both are vegan they ate different vegan dishes. she had organized a lavish dinner which was very personalized for Amanda. 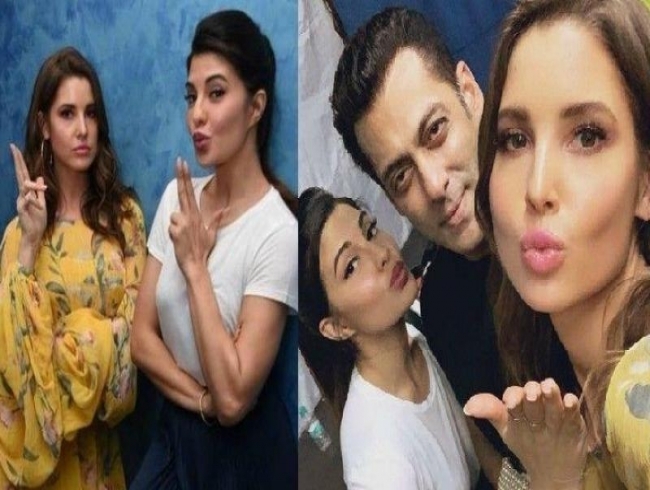 Jacqueline also took her to the special screening of Salman's production film Notebook and they watched the movie with the Superstar himself.